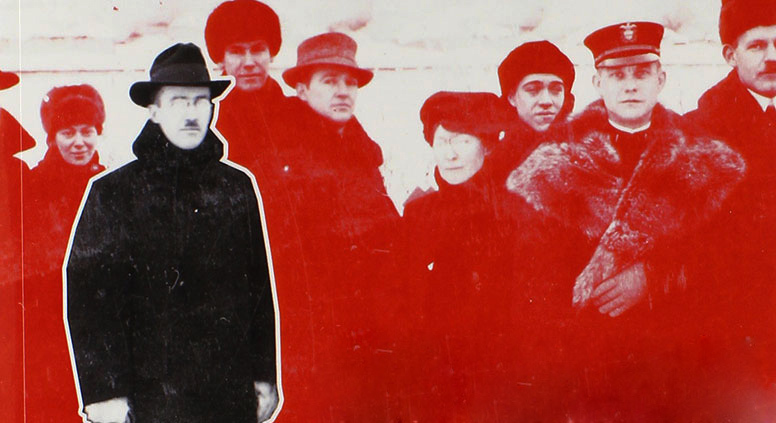 “An American Diplomat in Bolshevik Russia,” a new book chronicling the impressions of a US traveler who witnessed the Russian Revolution firsthand, offers a fascinating insight into that momentous historical event. In August 1917 DeWitt Clinton Poole, a young American diplomat, arrived in Vladivostok and caught the last regular trans-Siberian train to Moscow, where he would soon find himself at the center of the Russian revolution. Later, just months before he died, Poole recorded his experiences, which had a direct impact on U.S.-Soviet relations. More than 60 years after his death, two historians have edited these reminiscences to produce the first published edition of Poole’s extraordinary story. Their conscientious footnotes, sometimes longer than the original text, supply extra information, like the backstories of characters glimpsed in passing, historical references, or corrections to Poole’s lapses of memory. The resulting book is interesting on a number of levels: it is a first-hand record of historical events, including Allied and American interventions in Arkhangelsk. Poole recalls the assassination of the German ambassador and the brutality of the “Red Terror.” He worked to rescue European diplomats and frequently visited the notorious Lubyanka prison, before fleeing via Finland in 1919. Trains provide a recurring motif in Poole’s narrative, from the sealed train that brings Lenin home from Swiss exile to the legendary trans-Siberian. Rail workers’ unions play a crucial role and thousands of miles of railway take Poole south “across the Steppes” to Rostov or north to safety. This book is based on interviews in 1952; Poole intersperses contemporary reports and letters to his sister with observations based on hindsight, providing an intriguing dual perspective. Harvey Pitcher pointed out in his 1994 book “Witnesses to the Russian Revolution” that the story of 1917 is often distorted by the ebb and flux of ideological tides. Poole’s account strives for objectivity, although his view is unavoidably partial. His account provides a nice contrast with famous memoirs like John Reed’s “Ten Days that Shook the World.” Whereas Reed, a journalist with communist sympathies, is rooting for the rioting Bolsheviks, Poole was an establishment figure whose main concerns were evacuating American citizens and charting possible futures for diplomacy. Whereas Reed sees an unstoppable tide, “sweeping into history at the head of the toiling masses,” Poole is struck by many Russians’ indifference to events that were “reshaping their lives.” Poole’s reminiscences may lack the vigor of Nigely Farson’s autobiography as he reports from Red Square, but historians will be perusing these documents for decades to come. DeWitt Clinton Poole’s “An American Diplomat in Bolshevik Russia” was edited by Lorraine M. Lees and William S. Roder and is published by University of Wisconsin Press.